What was the best day of your life? Why? By the way do you like cello? Release date: August 22, 2014. To die or not to die? That is the question! What would you chose if you were Mia? Why? The film is directed by R.J. Cutler . It will open in theaters on August 22, 2014. 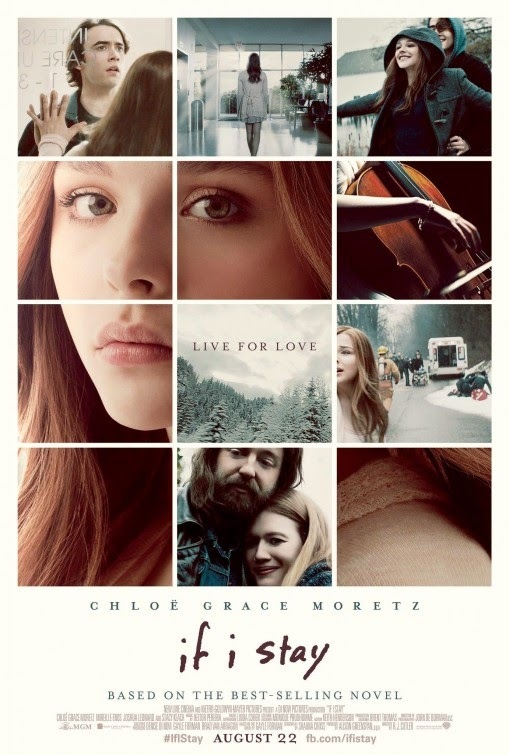 Besides Chloë Grace Moretz, the cast also includes Mireille Enos, Jamie Blackley, Joshua Leonard, Liana Liberato, Aisha Hinds, and Stacy Keach. The film is an adaptation of Gayle Forman’s novel of the same name. Besides Chloë Grace Moretz, the cast also includes Jamie Blackley, Mireille Enos, Joshua Leonard, Liana Liberato, Aisha Hinds, and Stacy Keach. Anyway, what do you think of the trailer? Share your thoughts below! The film will open in theaters on August 22, 2014.